Entering the border town of Tamu feels instantly different to the hustle and bustle of India. 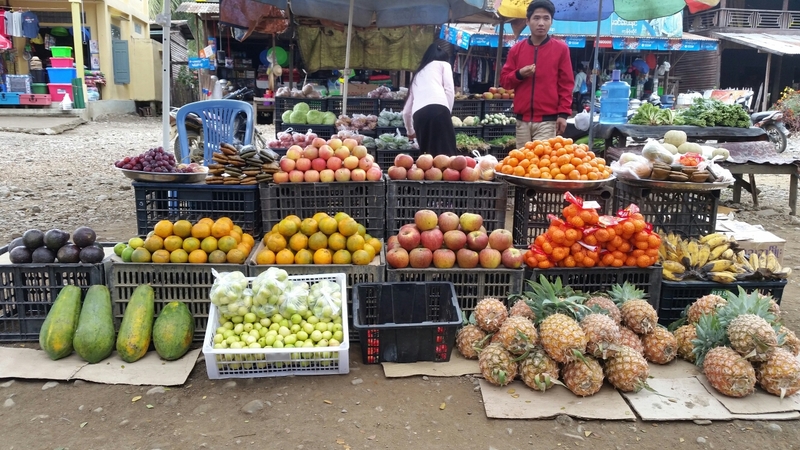 Despite being a border town Tamu is calm, people go about their daily business selling food outside their houses, sitting in restaurants, drinking beer, without giving you more than a seconds glance. Food has a distinctly Chinese influence and the locals smile and wave, their yellow thanaka painted faces crinkling with joy as you pass. 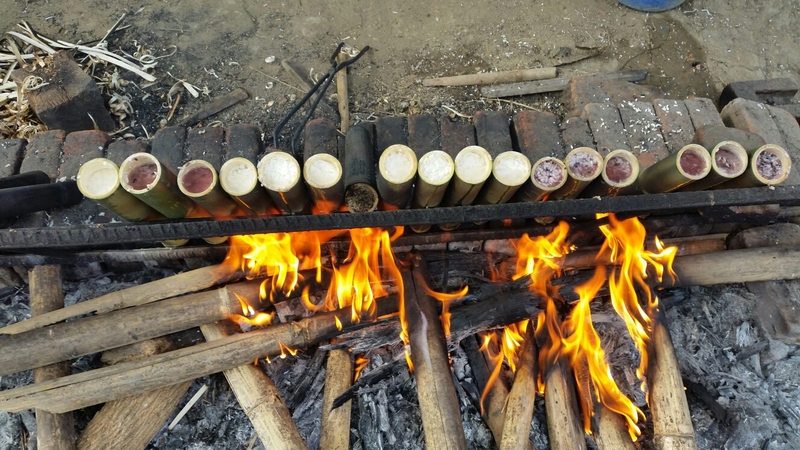 Thanaka is a yellowish white paste made from ground bark, as I was soon taught by a local girl who decorated me on our second morning in Myanmar. You apply the paste to your face like a moisturiser and then smear stripes or dots on top to create a distinct pattern. It is both a beauty product and suncream in one. The border here only opened in August 2018 and there are few tourist facilities or English speaking aides, although there is an ATM (note: we suspect our card got skimmed here so make sure to keep an eye on your bank account following withdrawl). Two motel options are available, both signs in illegible Burmese and both overpriced for what you get unfortunately, but do provide a roof over your head. 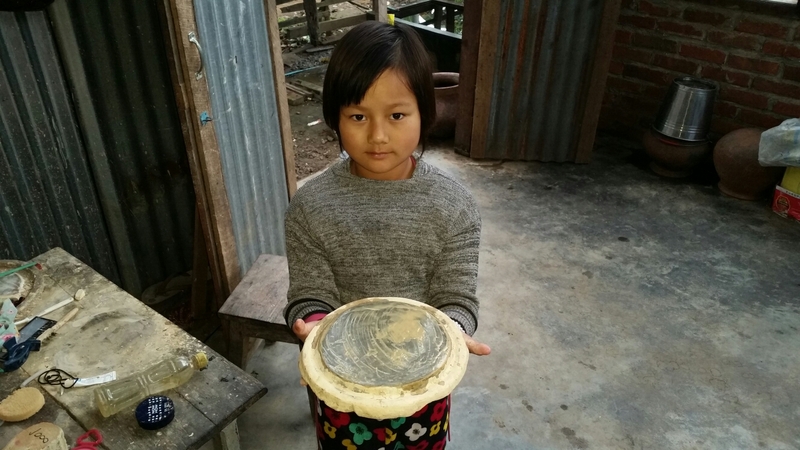 We’d heard of the difficulties of wild camping in Myanmar, it being strictly illegal and frowned upon by locals. If found, you are likely to be taken to the police who will take you to the nearest tourist hotel which ask for extortionate fees. Staying with locals is also prohibited, although we were rescued by a local on our first night from Tamu after being turned away from a monastery at dusk. 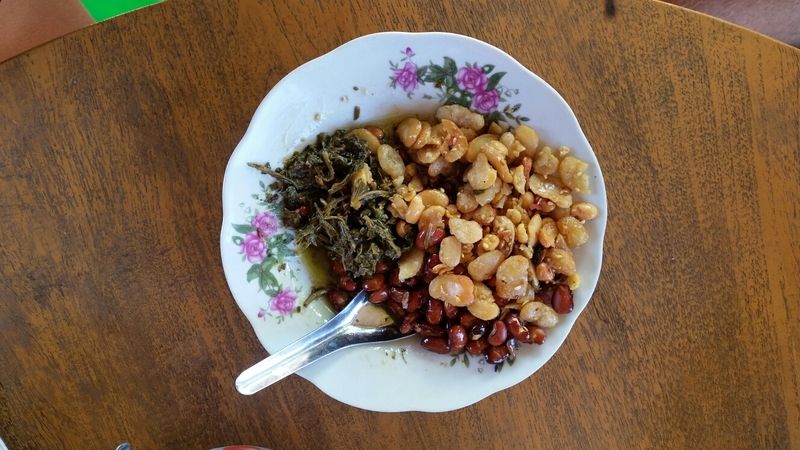 Pudagee took us back to his house/restaurant where we were fed and introduced to our favourite local dish – laphet thoke – a pickled tea leaf salad served with finely chopped cabbage, tomatoes, soya beans, peanuts and doused in peanut oil and lime juice to serve. After eating, one of his customers who spoke good English queried where we were to sleep, and on discovering where requested that we phone the government to ask permission! There was a bit of back and forth between the two and the telephone was bought out, although luckily the customer had to leave before he managed to find the number to ring! The next few nights we camped very late and put the tent away at dawn. There was ample teak forest to camp in, although the huge dry leaves falling at night sounded like footsteps and always made me jump! 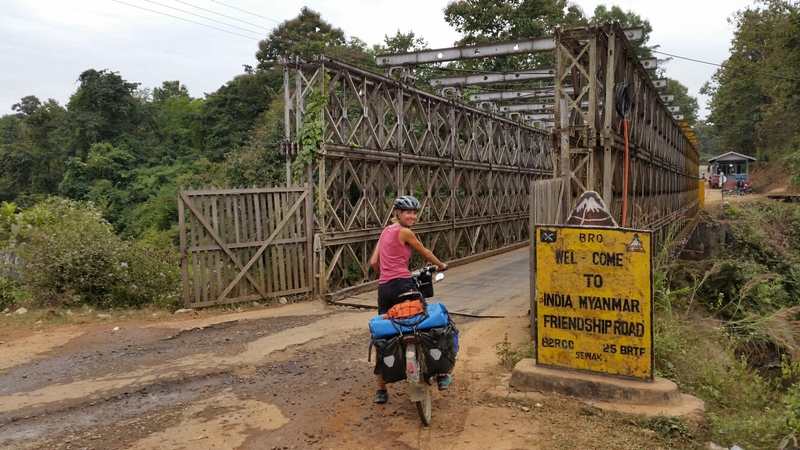 We’d chosen to cycle the slightly longer route to Bagan based on sound advice that the other road that goes direct to Mandalay via Monywa is still under construction with large stretches of mud road and steep inclines. 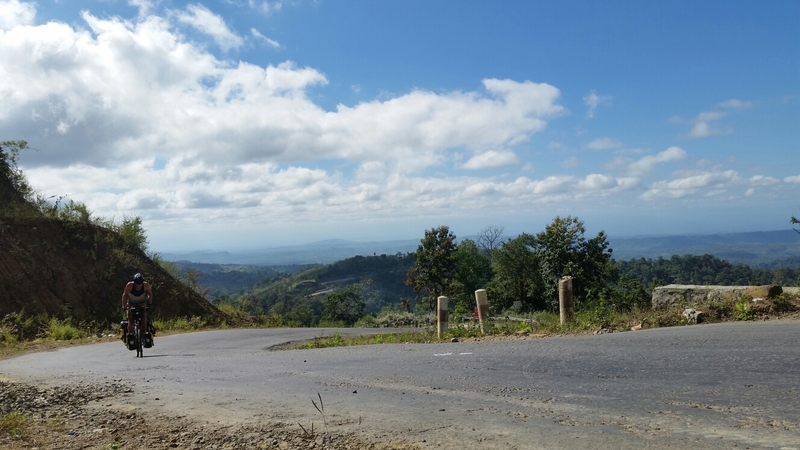 We still had to battle steep inclines but at least the road was tarmac and traffic free, passing small farms and villages where subsistence agriculture keeps people going. A rather novel way to take your pigs to market! 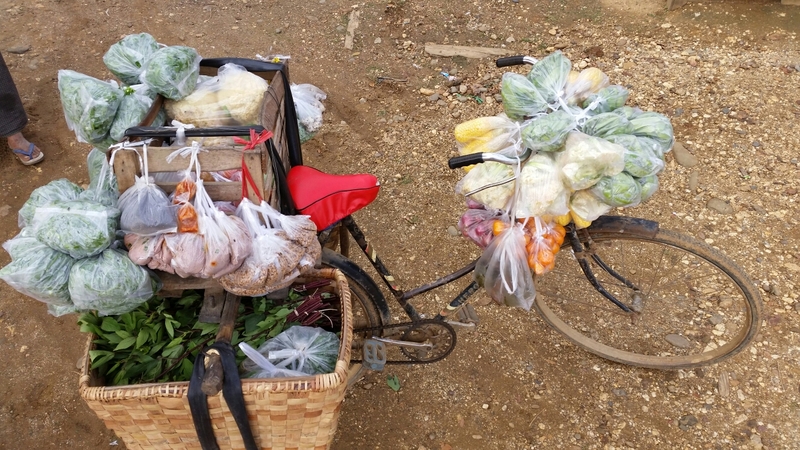 I cycle to eat, and boy can you eat good in Myanmar! 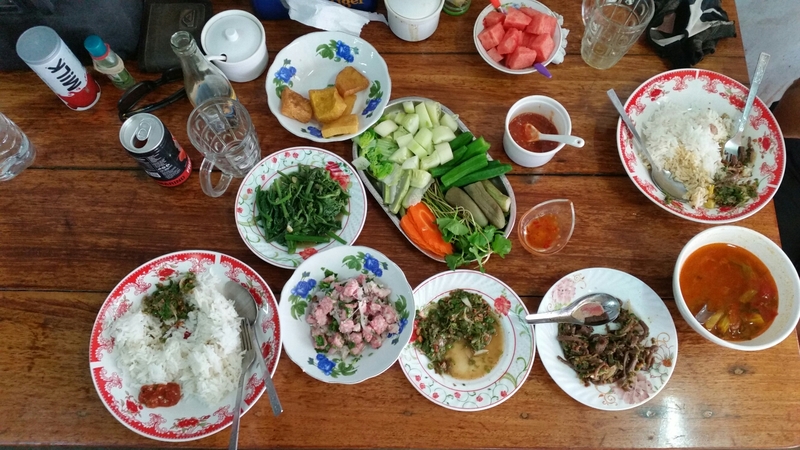 In particular we had some of our best food in the six days between Tamu and Bagan. We quickly became addicted to 3in1 coffee drinks served at all small shacks, and if you’re lucky you get a coconut doughnut to go with it. Lunches became gourmet affairs with a huge bowl of rice put in the middle of the table and surrounded by a range of delicious greens (beans & bok-choi) and individual salads – carrot, tomato, papaya, pennywort etc. all served with a tangy peanut dressing. Then there’s soup and a range of accompanying spicy sauces, most of which were quite fishy so for once I ate more chilli than Jules who was not a fan of the fish sauces. “Tak tak lo” literally meaning lifeless, is what you need to stay to stick to vegetarian meals. 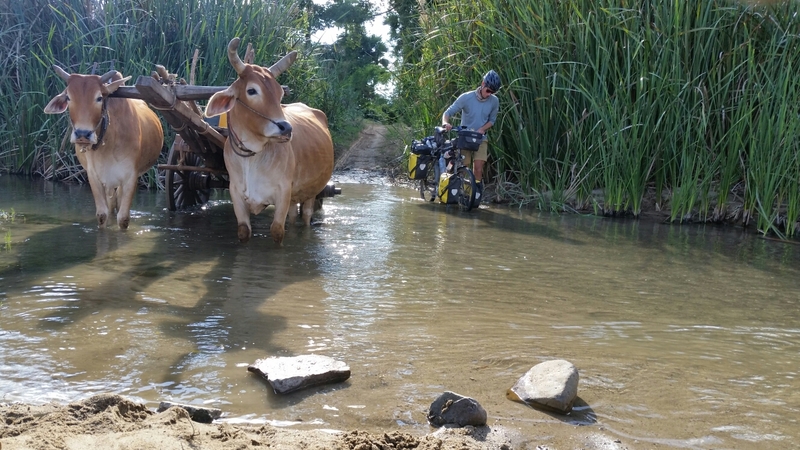 Going off the beaten track to escape the busy narrow section of road to Myang we took a JRQR (Julian Read Short Cut) which started off delightfully on a quiet hard-packed mud road through sunflower fields before deteriorating to a tricky sandy track. 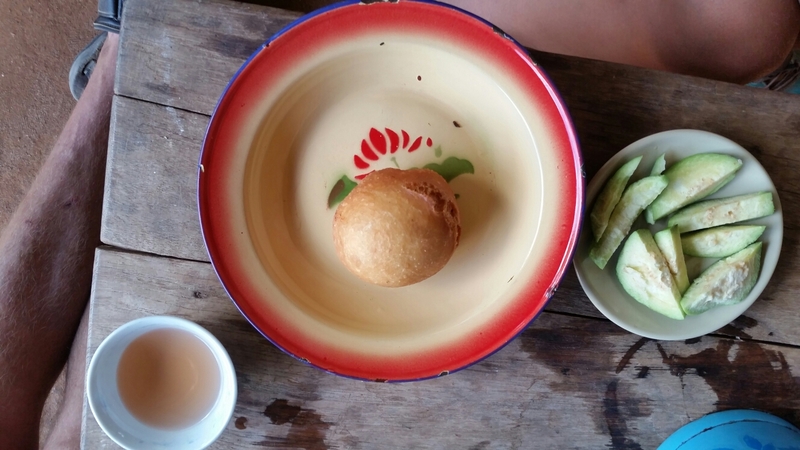 The silver lining was a small village with a stall selling freshly made coconut buns (fresh desiccated coconut and sugar encased in a white fluffy lightly fried dough) and vegetable samosas, which tasted more like spring rolls. A huge crown gathered as we devoured four each plus a big bowl of rice. The afternoon deteriorated as we got lost in the sand and the guesthouse we’d been aiming for in Myaing turned out to be owned by a drunk who wanted an extortionate amount of money at first, and then said we couldn’t stay anyway! Assessing our options in the restaurant next door a monk passed by and we plucked up the courage to ask if we could stay at their monastery, which after checking with the head monk was passed. 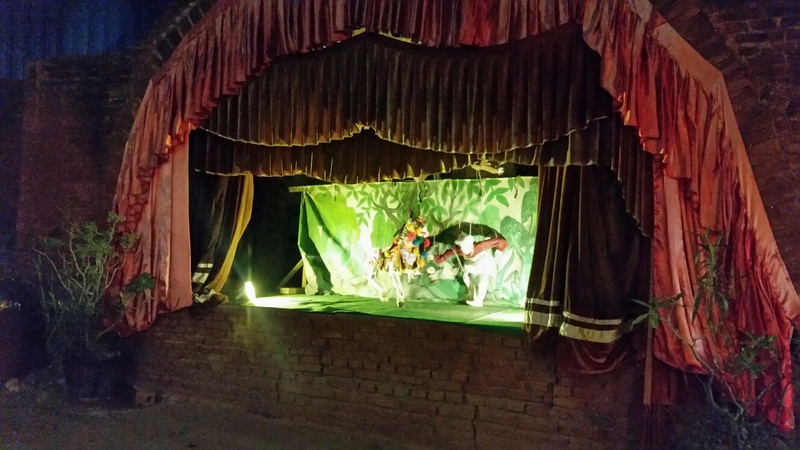 We were expecting to pitch our tent outside but were shown to a spot on the stage next to a large Buddhist shrine, complete with a mosquito net, ample water supply and the cleanest showers and toilets we have seen since leaving home! It was a 6 day rush to beautiful Bagan where we met my brother and his girlfriend for a well-earned Christmas break. 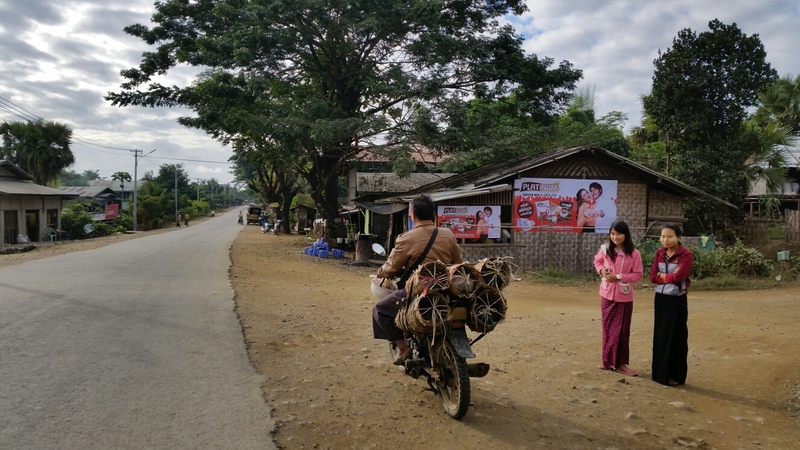 With all the excitement of seeing them cycling towards us and desperate to get into town for a celebratory beer we took the main road and were stopped to pay the 25,000 kyat (£12.50) ‘entrance fee’. 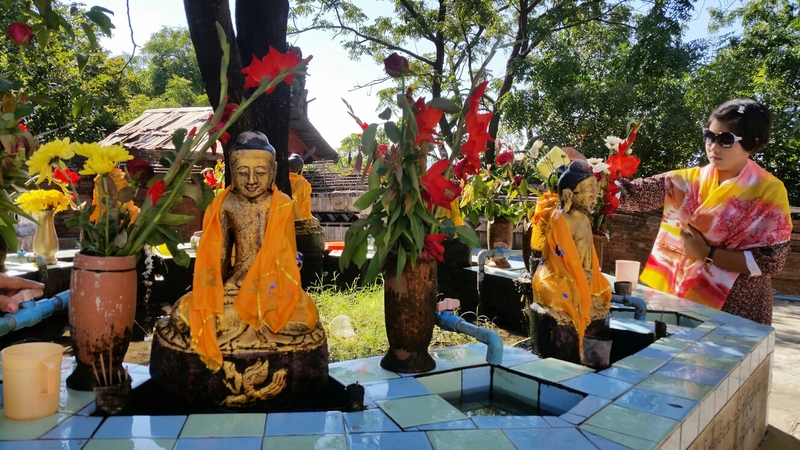 As the pagodas around Bagan are everywhere and you can wonder freely around them, the entrance fee is supposed to cover the upkeep and conservation of the 2,200 remaining. However a journalist recently exposed that only 2% of this fee actually goes towards conservation, which in itself has been made a mess of by the government rapidly rebuilding to bring in the tourists with little regard for historical architectural styles. Bagan was the capital of the Pagan kingdom (9th to 13th centuries), the first Kingdom that unified the states which now comprise modern Myanmar. Over 10,000 temples, pagodas and monasteries were built during this period. 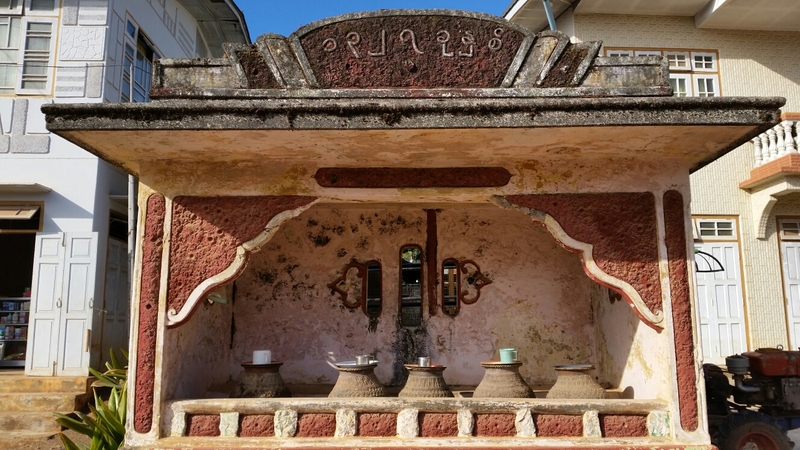 A pagoda, or stupa, is a large bell like structure, often with a relic of the Buddha inside, and originally built to house the earthly remains of the Buddha and his associates. The shape represents the Buddha crowned and sitting in meditation posture on a lion throne. 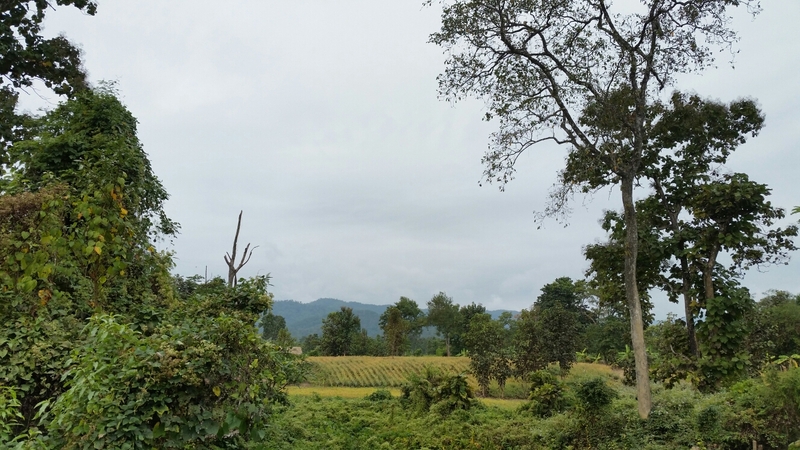 Buddhist beliefs state that building a stupa will bring good karma or merit to those involved, hence the proliferation of towers dotted around the country. Many fell into disrepair over the years and restoration became focused on the larger pilgrimage temples. 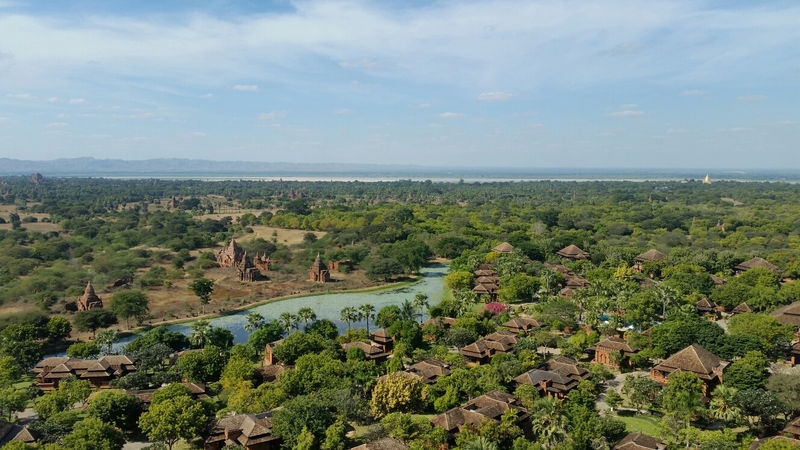 In 1975 a large earthquake destroyed many more and the military government started a huge rebuilding programme moving out all local residents and rehousing them in what is now called New Bagan. The authorities have been campaigning for UNESCO World Heritage status but have been left on the long list as a result of their hasty and inauthentic rebuilding methods. 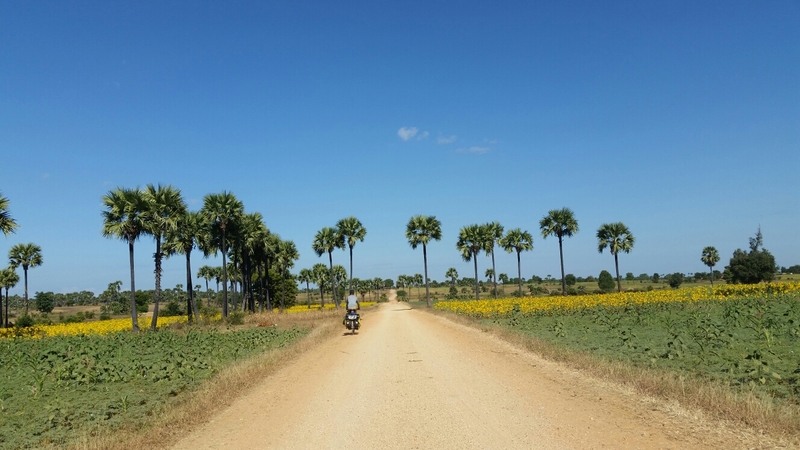 Bagan is best explored by bike. Sure, you can also get on an electric scooter too, and in ultra hot weather this may be more comfortable. We stuck to bikes though and followed this great map which weaves through the smaller pagodas, by-passes the watch tower (8,000 kyat to go up including a free cooling tamarind drink) and takes you into Old Bagan where the really impressive large pagodas sit. 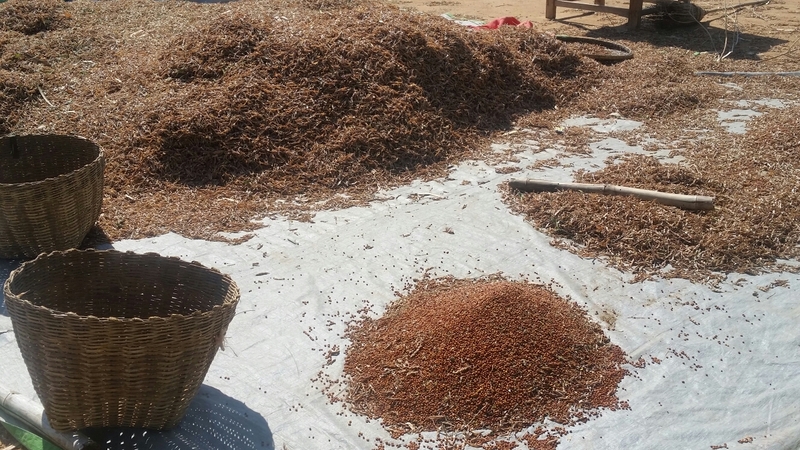 We stayed in New Bagan, definitely more of a locals town rather than the more backpacker orientated Nyaung-U. It was a 5 minute cycle to a pagoda with a viewing platform which we shared with only a few Chinese tourists, all watching in awe as the sun rose over the pagoda peaked landscape on Christmas morning. The few gold-gilted tops glinted into the rising sun and then like in a dream hot air balloons rose adding colour and beauty to an already magical scene.